The daring Suntiang with its Minang-Japanese cuisine fusion trendsetter is on its way to have its third branch in an undisclosed location yet in Jakarta. I was having this opportunity sometime ago to visit their second outlet in Grand Indonesia and tried their latest creations. Let’s take a look! Well, it feels like I’m back to familiar terrain again with Suntiang’s family restaurant design which of course, unlike the normal Padang restaurant, and it pretty much reminds me of their flagship outlet in Pondok Indah Mall. 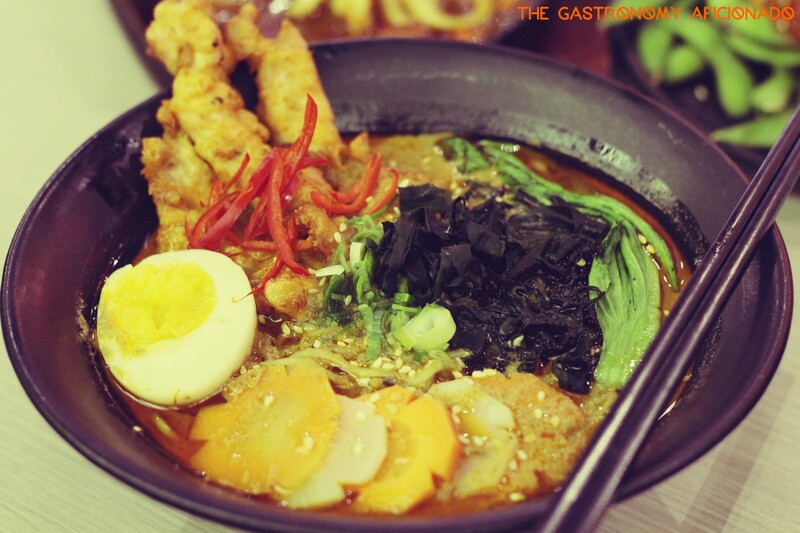 Of course, we’re opening it right away with our classic favorite – the Gulai Ramen. This is perhaps the most wondrous recipe Suntiang ever made and it is comprised with the spicy and savory soup and the ramen that Jakartans currently craze about. It has a bountiful amount of topping and especially for someone who seeks halal ramen like me, this clearly satiates my temptations a lot! My wife however, has a say on something else and something new made by Suntiang. It’s still in the same noodle department but this one came in a form of udon. Yup, that’s the spicy fiery udon with seafood in a hotplate. Even I found this one my cup of tea also but a tad spicier than the gulai. 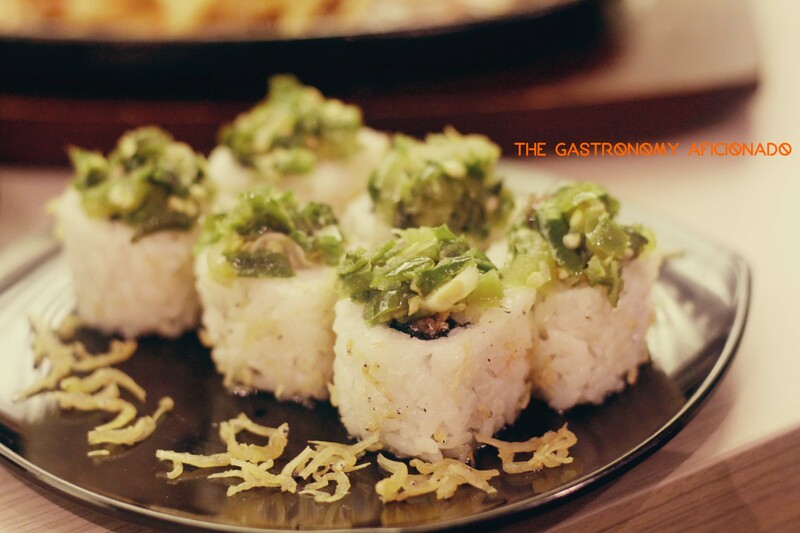 The sushi rolls are not to be missed as well, especially the one using both lado mudo (green chilies) and ikan bilis (anchovies). The use of green chilies make it feels clean and less spicy but it does work well with the saltiness that came from the fish. A good choice for something in-between thick flavored dishes in Suntiang. 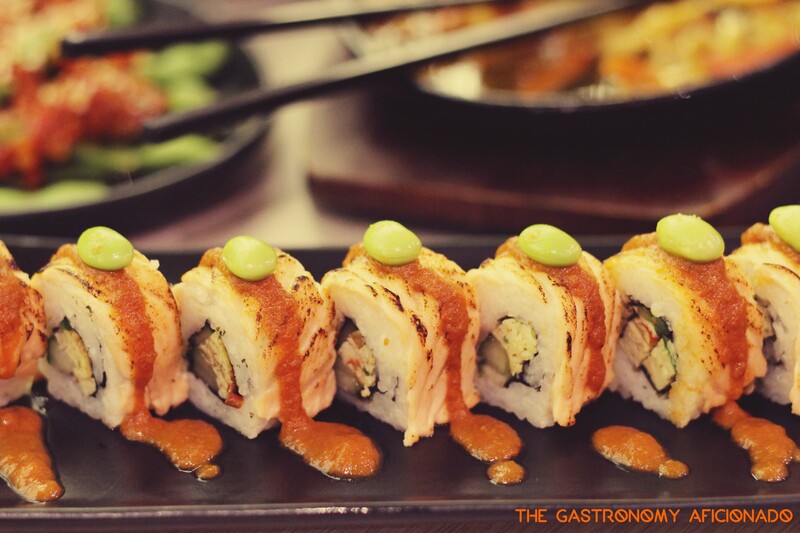 Other must-tries from Suntiang’s current menu are such as the edamame topped with balado for a good opener and the asam padeh roll using salmon this time. The latter is highly enjoyable but the former somehow eludes me on how to enjoy it properly, nevertheless it’s an interesting combination. 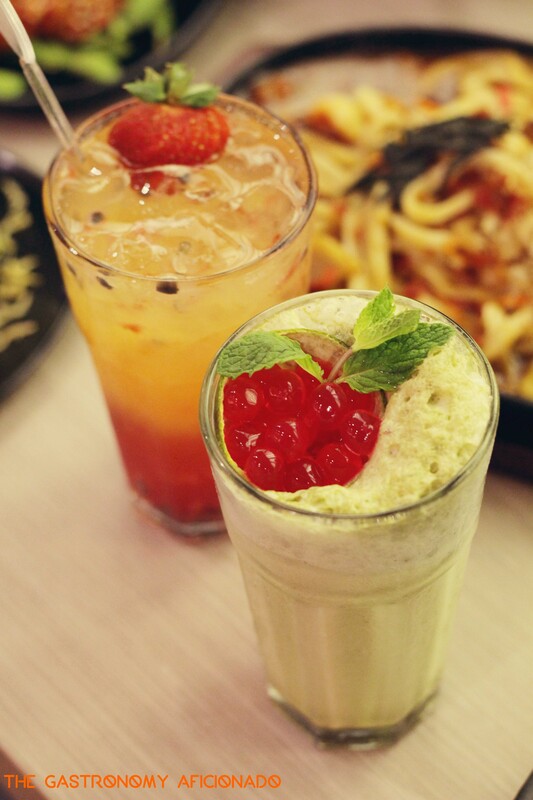 To end the deal, Suntiang’s fresh mocktails are always a treat to remember. Not only that it’s all well-assembled drinks but it an eyecandy as well. If you’d like something else other than drinks, then you might want to try the kue cubit with green tea flavor KitKat. Despite how interesting it looks, perhaps Suntiang would like to consider on not using the powder green tea upon it as it brings a somehow bitter flavor to the whole experience. Well, it’s always a nice experience having to visit Suntiang from time to time and I am really looking forward for their next outlet and the finalized halal-certification. Best of luck! Looks promising and very delicious! As I’m going to fly to Jakarta in a month, I’m interested in where I can find that? 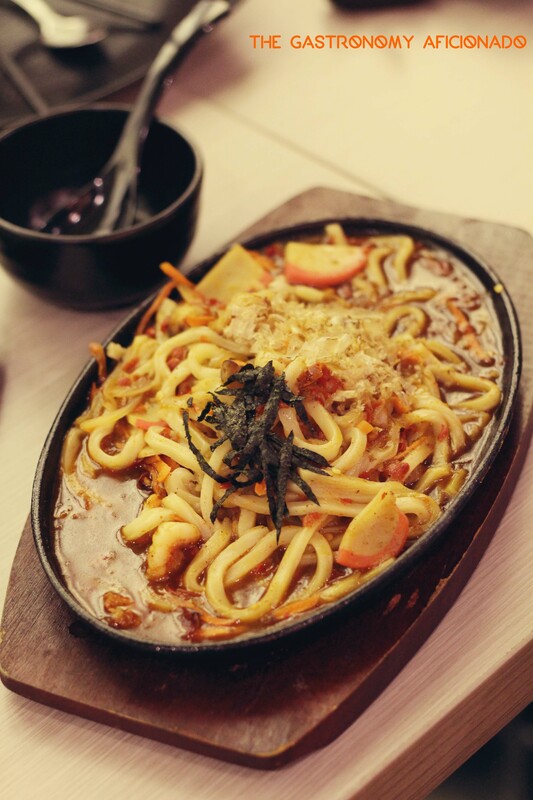 You can give it a try at Suntiang in Pondok Indah Mall or Grand Indonesia Shopping Town. Enjoy Jakarta!